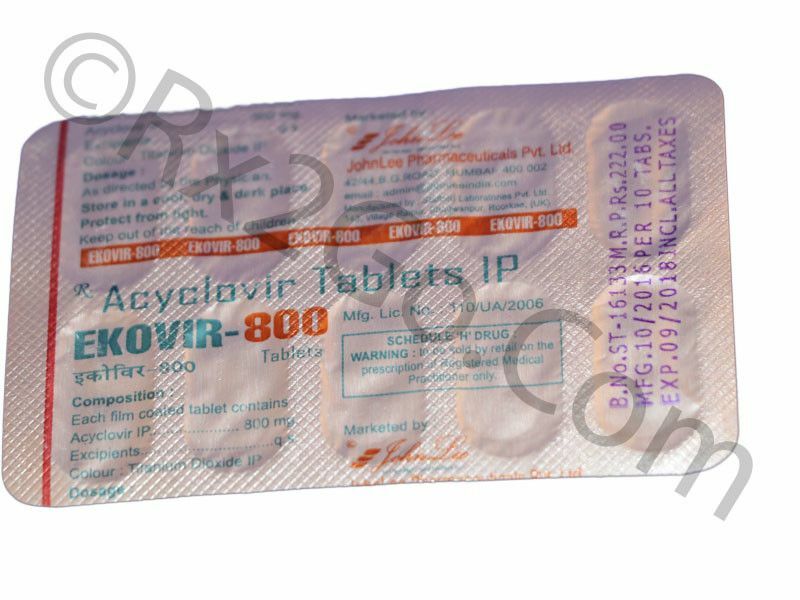 Acyclovir is sometimes used to treat eczema herpeticum and oral hairy leukoplakia. It is also used for the prevention of herpes infections of the skin, nose and mouth among patients with HIV. Acyclovir is approved by the Food and Drug Administration or FDA as a prescription drug. It is commonly used as an oral treatment, topical and injectable for herpes infections. Acyclovir helps treat the pain associated with a genital herpes outbreak. It is sometimes used for the prevention of genital herpes outbreak in people who are infected with the virus. It speeds up the healing of blisters or sores in people with shingles and chickenpox. Acyclovir treatment starts as soon as the first symptoms appear. This may include blisters, tingling and burning sensation. Take Acyclovir exactly as prescribed by your physician. For oral suspension, shake the bottle well every time you take the medication. Use the dose-measuring spoon or device that comes along with the medicine. For the oral tablet, take it with plenty of water to keep your kidney working properly. The recommended initial dose is 200 mg every 4 hours for 10 days. For intermittent recurrence, take 200 mg every 4 hours for 5 days. For chronic suspension recurrence, take 400 mg every 12 hours for 12 months. Pediatric– 20mg/kg IV every 8 hours for 7 days for children younger than 12 years of age. For children older than 12 years of age, take 800 mg every 4 hours for 7 to 10 days. Pediatric– The recommended dose is 20 mg/ kg every 6 hours for 5 days for children below 40kg. Children who weight greater than 40kg, the dose is 800mg every 6 hours for 5 days. Herpes virus infections are contagious. People infected with this type of virus can spread the virus even while they are under treatment. To prevent the infections from spreading, avoid contact with other people. Avoid letting infected areas comes in contact with other people. Pregnant women with genital herpes can pass the virus to their baby during childbirth. Speak with your physician if you are taking any other medications. Patients with a reduced kidney function must use this medication with caution.